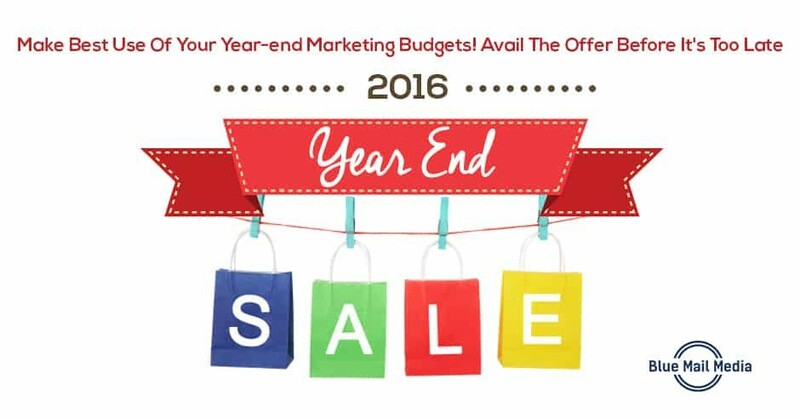 Irving, TX, December 5th, 2016: 2016 is coming to an end and many marketers are left with unutilized budgets. To help such marketers spend their remaining budgets wisely and start off their new year with a bang, Blue Mail Media announces special end of year plans for you to avail our high-quality marketing databases at discounted rates. The announcement is aimed to enable marketers to buy bulk contacts at reasonable prices. The year-end offer announced on Monday will be valid untill 31st December, 2016. Robert further states that Blue Mail Media has seen a 38% rise in the demand for marketing databases in 2016, as more and more marketers are open to investing into data resources to boost up their marketing campaigns. Blue Mail Media provides customized marketing data configured as per industry, geographic regions, demographics, size of the prospective market and so on. With a motive to support your sales and marketing teams in the lead generation process, Blue Mail Media maintains a rich directory of decision makers across all industries and provides marketers with complete access to information to reach out to their prospects via emails, physical mails or telephone.